Added to your pets collection. We took this business out of your pets collection. Dr. Maria Wilson of Pampa, TX is excited to announce the opening of Every Living Thing Veterinary Services. She did her undergraduate studies at Texas Tech, and graduated from Texas A&M Veterinary Medicine in 2005. 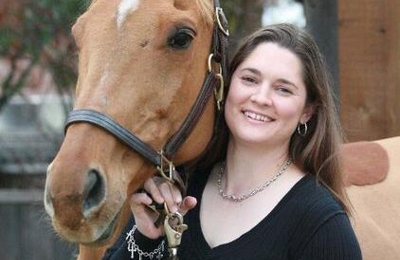 She worked as an equine practitioner for 7 years at Rockwall Equine Center. As her children arrived, her interests grew, and she began to add small animals to her repertoire. She worked for Country Friends in Royse City for a year prior to moving to Pampa. She and her husband Daniel, who was born in Pampa, moved to Pampa with their 2 children, Cade and Rebekah, in March 2013. Dr. Wilson worked with Gray County Veterinary Clinic for the past 3 years, and is very thankful for that opportunity. With her family established, and Pampa established as home, the perfect time to start her own practice is now! She has grown to love the area, and looks forward to serving the community and raising her family here. Appointment Only, please. 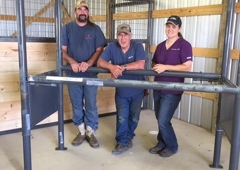 Patients seen in her Barn Office, and she also offers Mobile Veterinary Services. Address is 12300 County Road Letter E; and can be difficult to put in Google Maps. Please call the office for directions, or to schedule a Mobile Office Visit. We absolutely LOVE Dr. Wilson! We were so glad to know she had opened her own practice and we gladly followed. She was so kind to us when our Jersey had to cross the rainbow bridge and assured us that we had done everything possible to help him. Our pets mean the world to us and Dr. Wilson and her staff make sure they are calm and not surprised by whatever is happening. Dr. Wilson has been terrific with all my animals and me when we had yo out an animal down. She is so compassionate and has a true love of animals.